My name is Dana and although I wasn’t born in Calgary, I consider it to be my hometown. I’m an experiential playground expert and mom to three kids. I have an MSc in experimental psychology from the UofC but right now any work I do is from home. When I’m not looking after people, I’m reading all the YA fiction I can get my hands on and am attempting to learn photography. My laundry-folding suffers due to more interesting pursuits. I also have an eclectic lifestyle blog – http://talkinginallcaps.com. Why did you start Calgary Playground Review? The summer after my son Gordie turned 1, I started looking around the internet for fun playgrounds to take him to. I was really frustrated with how little information I could find. At best I could find a list or two of 10 or so playgrounds with a short description and no pictures. So I decided that if I couldn’t find the information I wanted, I’d create it. Once the winter hit, I thought it would be fun to carry on by looking at indoor places to play too. 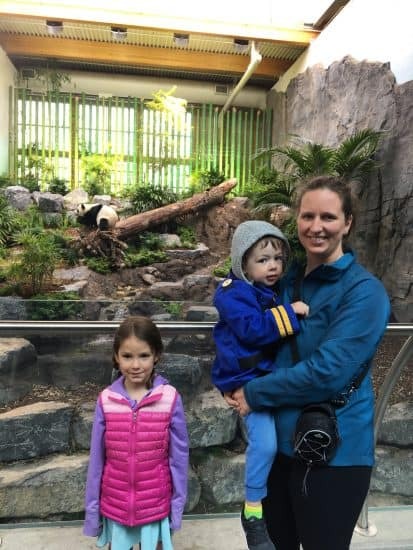 Now Calgary Playground Review also covers many things including family friendly places to eat, ice cream, attractions and travel. Why are there so few kids on the playgrounds? It’s a bit of a trade off with my photos, I try not to take identifiable pictures of other people’s kids and avoid having them in the shot at all of I can. They definitely look more fun with lots of kids playing on them but I try to respect other people’s privacy while I am out photographing. Sometimes we go early when the parks are less busy and sometimes I just have to be strategic and wait until I can get a clear shot. You would be surprised how many kids were actually at the park sometimes even though they aren’t in the photos. Why do you have so many more playgrounds reviewed in some areas of the city compared to others? As you might guess by looking at my maps of reviewed playgrounds, I live in the central NW. I try my best to get around to different areas of the city, but it is obviously easiest for me to both find out about new/awesome playgrounds in the area that I live as well as to get there to review them. 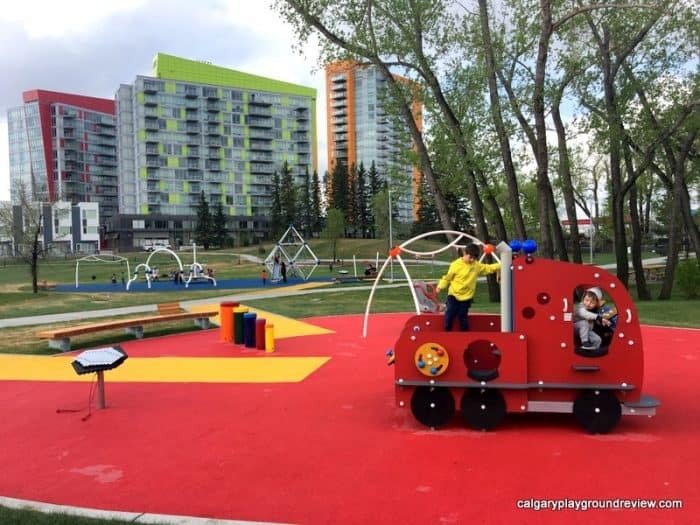 You can help me provide better coverage of all of Calgary by letting me know about the great playgrounds you find (calgaryplaygroundreview@gmail.com) or by messaging me on facebook. Do you accept advertising on your website? Advertising space is available for family friendly businesses and events on a monthly or quarterly basis. I am happy to post ads for indoor playgrounds however, the payment is for the ad space only and is independent from what I say in my review or how often I review your play place. You can find more information about PR or advertising here. I do not typically get paid for my reviews. Any compensation received will be noted in the review. 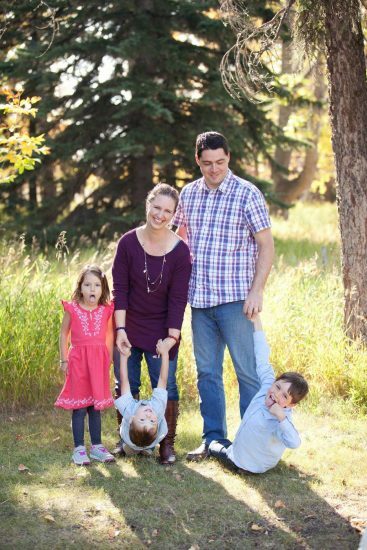 I have written for Calgary’s Child Magazine, Best Birthdays and Family Fun Calgary and done morning show segments on Global and Breakfast Television. I have been featured on the Calgary Herald website and Huffington Post Canada, have been interviewed by the Calgary Metro, Calgary Herald and CREB Now. I was nominated for an Alto Award in 2015 for my article “10 Reasons You Should Take Your Kids to Red Deer“, a 2015 Calgary Award and received a Canadian Weblog Award in 2012. I have worked with different brands and companies including Shaw, Disney Baby, The Jolly Table, Alpine Rafting, Church & Dwight, Echelon foods, Little Swimmers, Mastermind Toys and PAM cooking spray. I reserve the right to remove comments that use profanity, that include hate language, personal attacks and that otherwise offend. Advertising, link farming, and spam are not permitted in the comments and will be removed. I allow third party companies to serve ads and/or collect certain anonymous information when you visit my website. These companies may use non-personally identifiable information (e.g. click stream information, browser type, time and date, subject of advertisements clicked or scrolled over) during your visits in order to provide advertisements about goods and services likely to be of greater interest to you. These companies typically use a cookie or third party web beacon to collect this information. To learn more about this behavioral advertising practice visit the NAI at http://www.networkadvertising.org. To opt-out of this type of advertising, you can visit http://www.aboutads.info/choices.